At the a11y hackdays last week I was inspired by Bruce’s talk on HTML5 video and Web-VTT (web video text track) to make a W3C Widget for quickly creating text tracks. The basic components of the widget are the HTML5 <video> element itself, and a button for pausing the video and creating an entry in the text track. 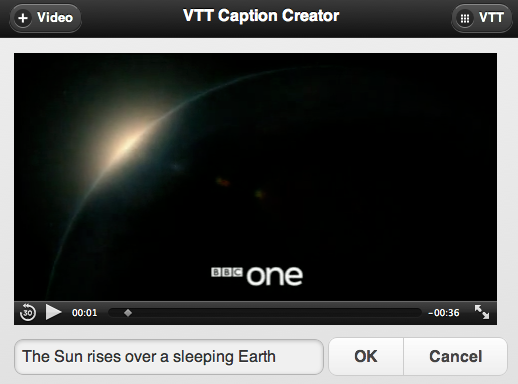 Next, the widget shows a caption input box and an OK and Cancel button. The first line indicates this is a Web-VTT file. Then we have the sequence number of the text track element. After this is the time information for synchronising the text with the video, and finally the text to use. There are lots of other things we can do with Web-VTT like styling and positioning, but for this widget I just kept it simple. Of course this isn’t the only way to use these files. 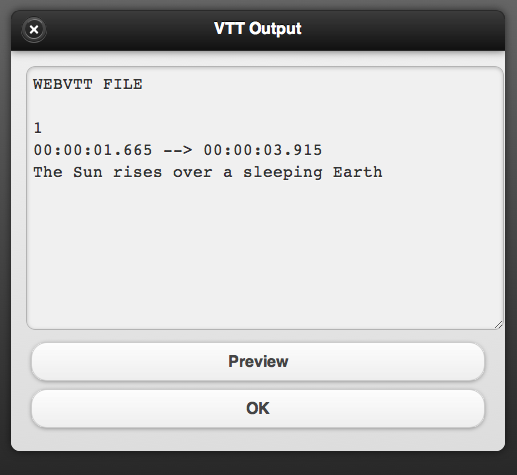 You could also create a really nice standalone transcript widget that put the text track alongside the video player, or feed the Web-VTT file through a reader application for adding audio descriptions to the audio track. 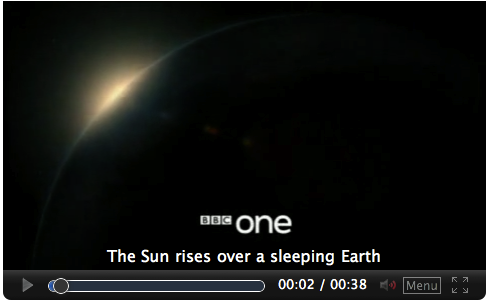 Or use it to pull up related content alongside the video while its playing. If you’d like to play with this widget, it is available in Apache Wookie. You can also get a standalone HTML version and one for use with Opera Widgets from my Web-VTT github project. Or, if you’re using Opera Unite there is also something that does roughly the same thing called SubVid (thanks Brucel).